. 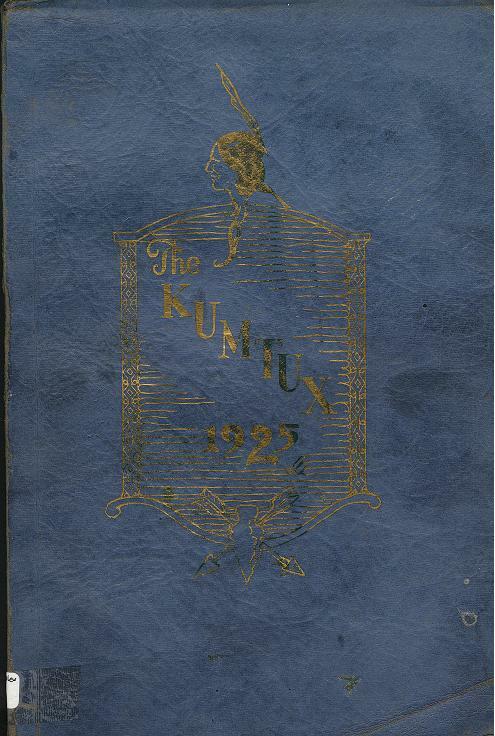 The Sedro Woolley High School Annual, the Kumtux 1925 Volume VI, was published by the Associated Student Body of Union HIgh School, Dist. No. 4. It was printed by Western Engraving and Colortype Co., Seattle WA.
. The book is 87 pages. The scanning was done by volunteers at 3rd St. Book Exchange.
. The owner of the book might have been Herbert Steen. It was signed by teachers and students.